Abstract: Traffic jam stays with us for a long time. But actually we don’t like it at all. Let’s say goodbye to it. 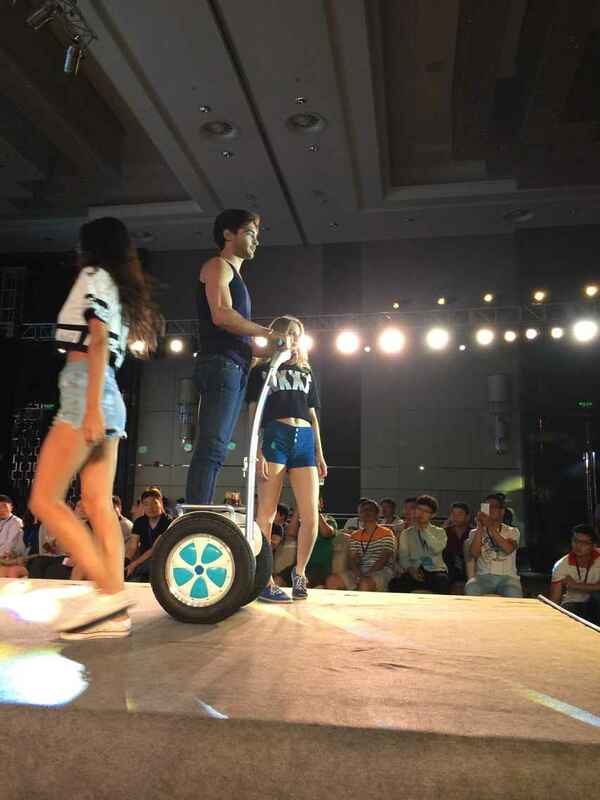 From now on, we’d like to stay with Airwheel electric unicycle. We don’t have to keep waiting anymore. Restart with your expectation, go wherever you want. Sometimes, saying goodbye is not a bad thing, especially for those who stay together reluctantly. A chance that can separate them is a thing worth celebrating. For example, traffic jam, I believe nobody feel pity to say goodbye to it. There is a survey showing that traffic jam affects the emotions of travelers, making them agitated and fractious. These negative emotions will influence the daily lives of the travelers. In order to solve the serious problem of traffic jam, Airwheel electric self-balancing scooter emerges and becomes one of the most widely anticipated new transports. It selects and uses the famous tire brand-Cheng Shin tire. This kind of tire is durable and serviceable. Its road holding capability is 3.8 times of the common tire, in consequent, the braking distance of Airwheel electric self-balancing scooter is shorter. You can ride it in any road conditions. For those office workers who have to travel in rush hours, Airwheel electric self-balancing scooter is very necessary and useful. It is true that for traveler, the most essential point is quality and safety. You don’t have to worry about the quality problem of Airwheel S5 electric self-balancing scooter. Because the scooter body is made of high-performance magnesium alloy. As everyone knows, electric self-balancing scooter is a kind of low-carbon transport which helps solve the problem of traffic jam and tail gas emission. And magnesium alloy is also a low-carbon green material. It is lighter than other materials. Therefore, it reduces the whole weight of the scooter and makes the 2-wheeled electric scooter easy to carry. Although magnesium alloy is light, it is not weak at all. It can sustain crash and be tolerance to high-temperature and corrosion. With such a reliable and safe transport partner, you can say goodbye to traffic jam happily.